Lately I’ve been so busy with work and house hunting that my hobby’s been suffering. I’ve hardly had time to even look at my sewing machine! For a moment, it even looked like I wouldn’t have time to make this year’s batch of lilac cordial but then dad came to my rescue. :) He kindly offered to pick some flowers for me and bring them over while he was waiting for the paint to dry on the house. 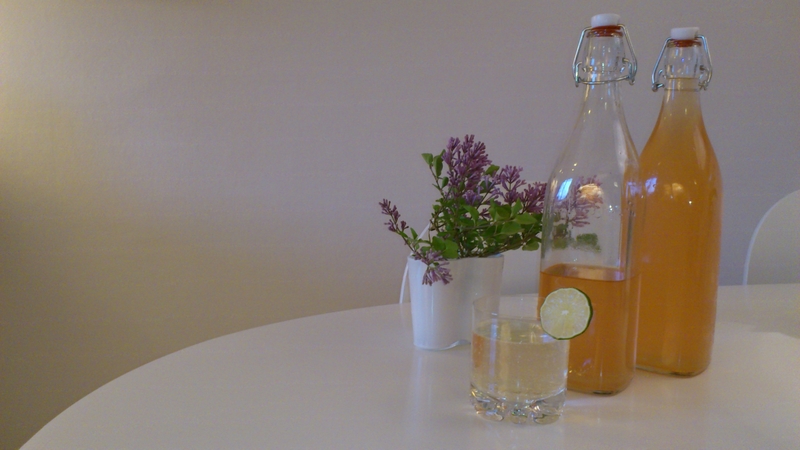 Now, five days later the cordial is finished and I’m much more pleased with it this year. I added one extra lemon for a more sour taste and let it sit for five days instead of three. The taste is great, and don’t you just love the colour! Categories: Food & drinks | Tags: cordial, drinks | Permalink. Our landlord highly recommended that we eat a kaiseki dinner during our stay in Japan. Kaiseki, or Kaiseki-ryori is a traditional multi-course Japanese dinner that’s usually quite expensive. However, Mariko-san knew of a place that serves good and affordable kaiseki for ¥5000. Of course, we set out to find this restaurant called “Otaya” but following her hand-drawn map proved to be harder than we thought when it’s dark outside. Luckily for us, we ran into a nice Japanese couple and asked them for help. They didn’t just point us in the right direction but actually took their time to walk us to the restaurant! And when we reached our destination they even bowed and thanked us. I wish people at home would be this kind and caring. The funny thing is, as we were walking towards the restaurant, my husband said to me, “It would be pretty funny if we end up at the same restaurant we tried our first day in Kyoto”. And yes, this was the exact same restaurant. On our first visit we weren’t sure on how to operate the restaurant’s sliding doors so when we finally stepped into the restaurant, all the guests, waitress and chef looked at us curiously. That day they were fully booked and the same thing happened now but this time we made sure to make a reservation for another night. When we were back out on the street, we heard someone calling “Martin, Nicole!” and it was Mariko-san! She kindly offered to take us to another great restaurant nearby and hungry as we were, we accepted. The place she took us to was amazing! We got a table on the second floor with a view over the small river right outside the house. The service was excellent and the food very good. Two days later, we returned to Otaya for the kaiseki dinner. We ordered nihonshu to drink and of course the kaiseki. We had prepared ourselves by just eating a light lunch but I still had trouble eating everything. My favourite courses were the pumpkin (I love pumpkin) and the vegetables (never have I tasted so perfectly cooked vegetables). Categories: Food & drinks, Japan, Travels | Tags: Japan, kaiseki, Kyoto, Otaya | Permalink. As I wrote earlier, I attended a cooking class last week. So, for this years midsummer festivities, I of course had to put my new skills to the test! We didn’t really learn how to make the actual cakes which meant I had to search for, and try out a new recipe. Like always, I was a bit nervous but they turned out great :D Since a couple of my friends even asked for the recipe I thought I’d post it. 1) Turn on the oven (170C). Chop up the chocolate and melt the butter in a saucepan. Turn off the heat when the butter’s melted and add the chocolate. Stir until you get a smooth mixture. Let it cool down for a while. 2) Whisk egg and sugar until white and fluffy. Add the chocolate/butter mixture and whisk until it’s distributed evenly. 3) Mix flour, cacao, baking powder and salt. Sieve and add to the egg/chocolate mixture. Whisk until smooth. 4) Add milk a little at a time and whisk until smooth. 5) Prepare the muffin forms and pour in the mixture. Fill about ½ of each form. Bake for ~10-12min in convection oven. Note that the baking time differs quite a lot depending on your oven. I think I had to bake the cupcakes for ~17min. Check if the cupcakes are ready using a toothpick. They’re supposed to be a little runny. Let the cupcakes cool down before adding the buttercream! 1) Mix butter and Nutella until well combined. 4) Add some decorations to please the eye as well as the mouth. Categories: Food & drinks | Tags: baking, cooking, Cupcakes, nutella buttercream | Permalink. I’ve been thinking about making an apron ever since I finished the rice pillow but it appears I needed a proper deadline to get started. 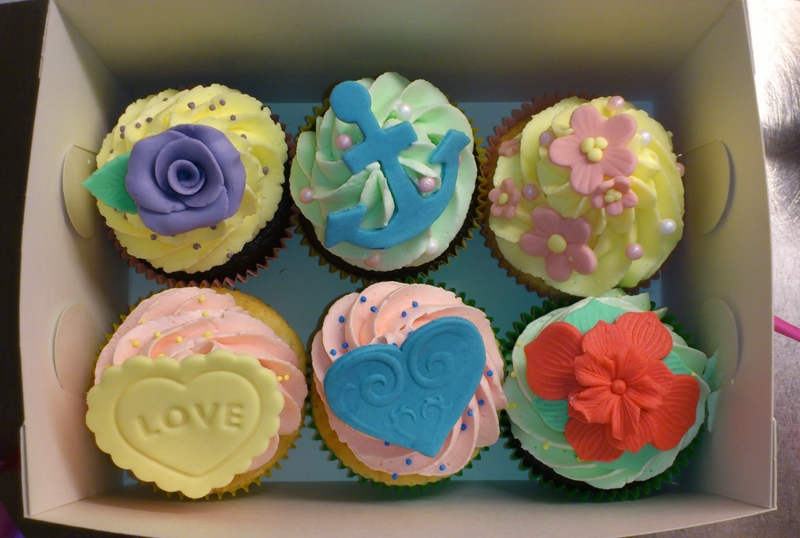 Lucky for me, I got the opportunity to attend a cupcake baking class organized by my workplace. The baking class was this Monday so I had to finish the apron on Sunday. Look what a healthy amount of stress can do to your productivity! I’m beginning to think that I should set a date for the darn wedding dress as well. Aug 1 sounds like a great date for finishing a dress. There we go, now that’s settled! 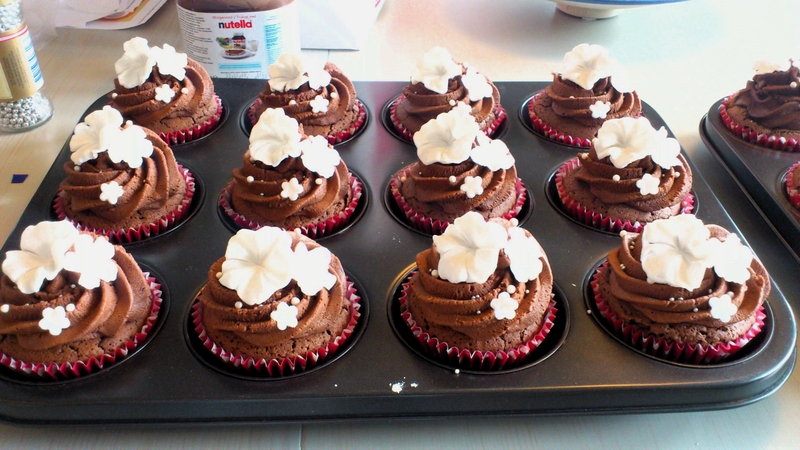 Anywho… Here’s the second result of my hard labour, cupcakes of pure awesomeness (I’m just a tiny bit proud of my accomplishment ;) ). 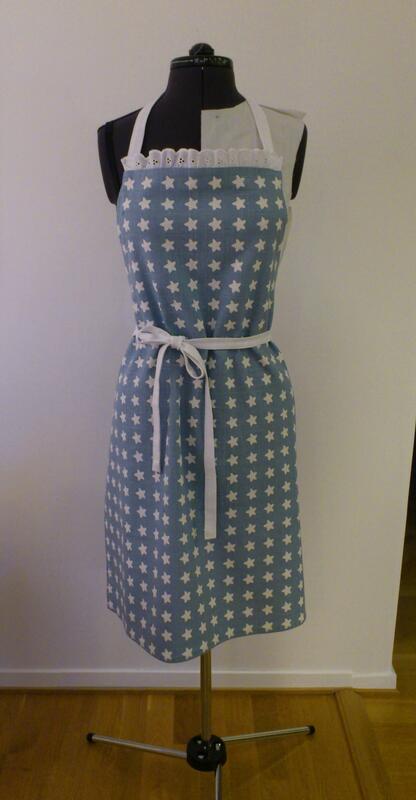 Categories: Food & drinks, Misc | Tags: apron, cooking, sewing | Permalink. 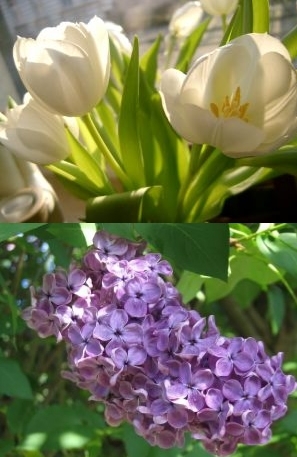 Tulip vs. Lilac. Striking resemblance? Mix water + sugar and bring to a boil. In the meantime, remove most of the branches from the clusters and slice the pre-washed lemon. Put the flowers and lemon in a heatproof bowl. 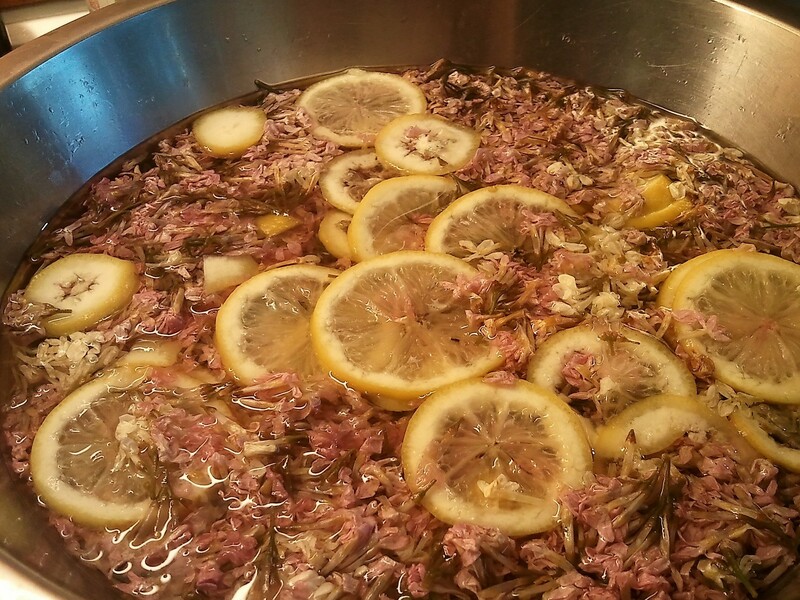 When the sugar/water mixture is boiling, add the tartaric acid and pour it over the flowers. Let it cool down and store it in the fridge for 3 days. Strain through a sieve cloth and pour into cleaned bottles. Done! When serving, mix with water to your taste. Mix it with sparkling water (with some lemon/lime) for an awesome non-alcoholic drink. Categories: Food & drinks, Random rants | Tags: cooking, food, Food & drinks | Permalink.